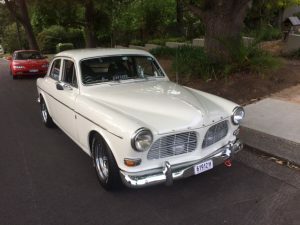 A happy owner now has this immaculate Volvo 122 with an engine that has done less than 1000 miles since complete re-build and has been lightly modified to produce about 135/140 horsepower. It has been bored to 2 Litre specification with a Sports Camshaft, fitted with Twin Weber Carburetors, Extractor Exhaust and Sports System. PAINTED IN ORIGINAL WHITE WITH ORIGINAL INTERIOR IN EXCELLENT CONDITION. We have just found out that Pelle Petersen is unable to attend the Volvo Rally in August. This was unexpected, but his health is such that he is unable to travel to Australia. This is quite disappointing, however we hope to have a video of him addressing the Rally attendees. 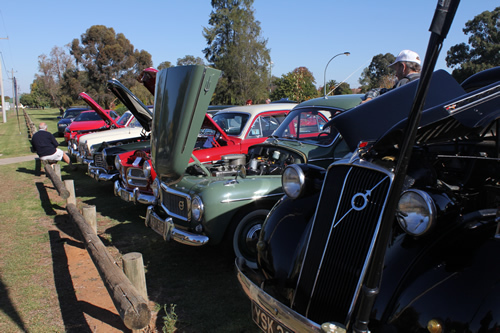 READ ABOUT THE RALLY - CLICK HERE for story. 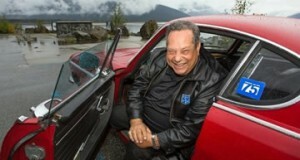 Racking up stats that would be the envy of most frequent flyer program members, Irv Gordon has become the first - and likely the last - individual to accumulate 3 million miles behind the wheel of the same car. 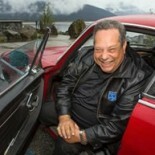 Gordon, a 74-year old ex-science teacher from New York set the new distance benchmark earlier this week while motoring down Alaska's Seward Highway in a cherry 1966 Volvo P1800 that he purchased new. Having reached the million-mile plateau in 1987, Gordon continued on his quest to secure the perpetual top spot in the Guinness Book of World Records for a single owner in a non-commercial vehicle. 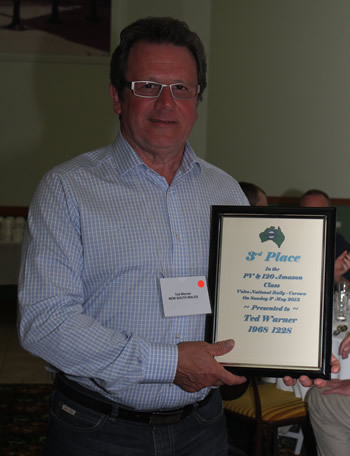 That honor came in 1998 when he and his P1800 eclipsed the 1.69-million mile mark. From there on, every outing represented a new best-in-history distance total for this ultimate road-tripping duo, and according to Gordon, there's no end in sight. "Everyone asks what's next. 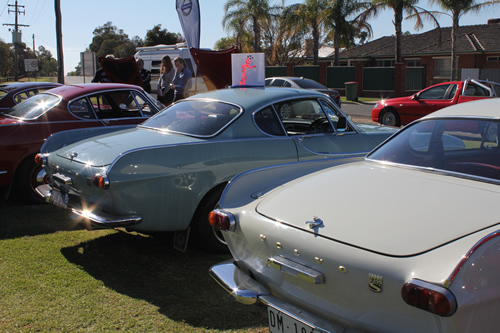 Well, I'll keep driving my Volvo P1800 to auto shows and taking trips across the country. Not much will change. But whether I drive four million miles is more up to me than it is the car. The car may be able to take it, but I'm not so sure about me." "The best way to explore America is by car," Gordon added. "I challenge everyone to go out and see as much as possible. Find your own journey and reason to believe because you only have one life to live. No matter how many roads I've been on, there's always one I haven't taken. That's what makes it exciting." 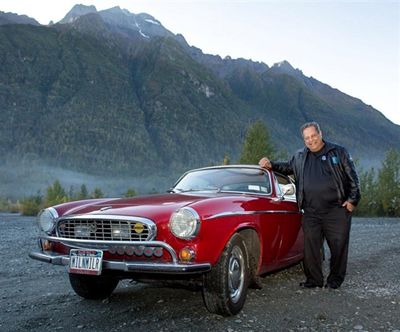 Editor’s note: I asked retired science teacher Irv Gordon to give a first-hand look at how he maintains his 1966 Volvo P1800 with 2.6 million miles on it. 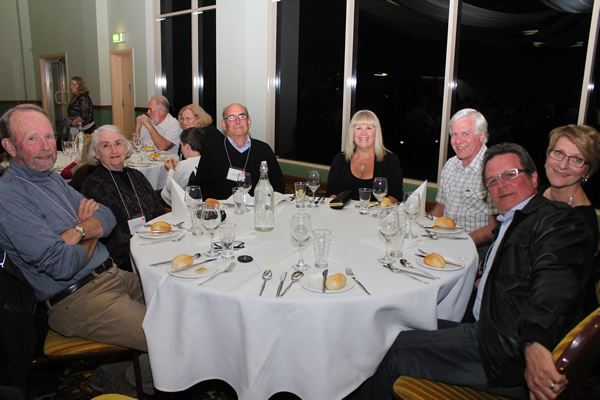 Below, Irv offers funny anecdotes, talks about how he keeps the car in great shape and philosophizes on life. Enjoy and don’t miss the photo gallery of Irv’s car below. Keeping a quality car on the road for a long time is no great secret but rather an "attitude" and a conscious effort to continue to do so once the "new car" appeal is over. The biggest hurdle which very few ever think about is buying a new car and what to expect from it. My philosophy is to buy the best quality car one can afford and one that is infinitely comfortable, as the driver can expect to spend a great deal of time in that car, especially with a million or more miles in mind. I purchased my Volvo for these reasons and Volvo’s reputation of safety, strength and durability, especially after my frustrating experience with two domestic manufactured automobiles. 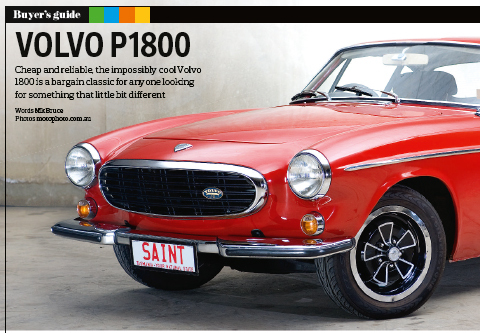 I spent three hours road testing a 1966 Volvo 1800 before I decided to buy it. I bought it because I could find nothing I didn't like about it. The ride was most comfortable, all the controls were user friendly, the car handled just great and the ride was the best I had ever experienced. Most people buy cars as an expedience, to keep up with the folks next door, to show off, or just figuring one feature ... such as fuel economy. They wind up with a car they grow to hate or disrespect and treat like a $20,000-$50,000 piece of junk. They beat on it, slam the doors, rarely if ever clean the car and eat/smoke in the car till it smells like an old movie theater and then decided not to spend any money to service it properly to the point the car begins to break down and the owner feels it is the car's fault. So much for going back into debt to purchase or lease another car and again repeat the cycle. I try to understand the mechanisms within the car as the designers meant them to be used. I treat the car with respect not only when I am driving it but when it has taken me where I want to go. I don't eat or smoke in the car. I keep it clean under, inside and outside. I service it as the owner's manual called for ... figuring the manual was written by the engineers who built the car ... who knows better than they do? I like mechanical things such as automobiles. In addition to the P1800, I also own the following: a 2002 C70 Volvo, a 1987 740 Turbo Volvo, a 1929 Packard 7 passenger touring car, a 1923 Model T Ford Fordor Sedan and a 1949 Crosley Hot Shot ... the first American Sports car. They are certainly enough to keep me busy when I am home and all is going well. Unfortunately, I do not have a garage for any of the Volvos...never did. The P1800 has been outside for 41 years and continues to live in the elements ... just a block or two from the ocean and its salty winds. The car is driven daily summer and winter, through snow, ice, rain, etc. It has never failed to take me where I wanted to go and never broken down en-transit. I guess those engineers really knew what they were talking about regarding service schedules. After all, a machine is only as good as the service it gets. The engine gets regular oil changes and a new Volvo oil filter ... every 3,000-3,500 miles. Clean oil seems to be the key to longevity and is a lot cheaper than an engine replacement. I have made it a point to be meticulous about such things since the car was new. The points get replaced every 20-25,000 miles along with the spark plugs. Fuel filters and air filters are replaced as necessary as are belts and hoses. Replacing the fuel pump (mechanical) every million miles or so is no big deal … nor is rebushing the carburetor (two SU’s) throttle bushings every 900,000 miles or so. The same goes for the oil cooler. Nothing is forever as they say … but one can try to see just how long they can make things last. Even after commuting on the Long Island Expressway (The World’s Longest Parking Lot) for 35 years, the car has continued to provide yeoman service. The engine was only apart once … for a complete rebuild at my insistence when it had 680,000 miles as I had never heard of an engine capable of such mileage while continuing to run trouble free. I change the transmission fluid every 25,000 miles (as per the owner’s manual) and use multi-weight gear oil. So far, even after all 2.5 million miles … the transmission is trouble free. I have had the 3rd gear synchro changed as well as the front and rear oil seals on the transmission. People seem amazed at such a sterling repair record, but then again, I have had the displeasure to ride in other people’s cars who think they are off to the races every time they brake or shift while making their passengers nauseous. Between riding the clutch at every opportunity and hard shifting, which puts strain on the entire drive mechanism as well as the passengers, one can imagine why so many people dislike taking long trips in a car and the drive train is always in need of repairs. That of course is a good thing for me as it cuts the competition for long distance trips down. My dad always taught me to imagine I had a glass of water on the dash. When changing gears, I was to try to not spill a drop of water in the process. I can see he knew more than I gave him credit for at the time. The steering box is untouched at this time and again, I use multi-weight gear oil to lubricate it. Yes, even though it is not a power steering unit it does require maintenance but no repairs have ever been done up to this time. It amazes me that it continues to provide comfortable driving at all speeds. I guess there is something to say for “Armstrong Steering” as provided in pre-power steering equipped cars. Then again, I have never had a steering repair on any of the many cars I have owned up to now. I believe in using the best tires I can afford and have tried almost every major brand since I started driving. I have been using Bridgestone Pontenzas for the past 36 years as I have found them to be the most durable and their ability to handle any kind of weather is unsurpassed for the type of driving I do. The body has held up remarkably well for the conditions it lives in. No garage, no car cover (as it would have worn the paint off by putting it on and off every day), and living such a short distance from salt water. The car is on the road every day and therefore takes a beating from the sun, acid rain and the birds. It has required minor surgery for cosmetic reasons such as replacement of the rocker panels and the rear wheel arches many years ago. Other than careless drivers who have decided to change the looks of my car from time to time always when the car has been parked, body work has been minimal. It sure would be nice if Volvo Cars of North America would provide some help in keeping the car on the road … even a box of oil filters or air filters from time to time would be appreciated. After several discussions regarding such sponsorship, I found that their philosophy, and rightly so even though I hate to admit it, is that, “If we support the car, then people would think that with such resources, anyone could keep their car going for millions and millions of miles ... However, what you (me) have done and keep on doing is to show everyone that anyone can keep a Volvo going for millions and millions of miles by just following simple service schedules and purchasing replacement parts from over the counter at their local Volvo dealer.” I still think it would be nice to get a Christmas or birthday present of some filters or an occasional case of motor oil. LOL. Then again, I wouldn’t refuse some support from one of the major gasoline companies either. Guess I am just as shallow as most other folks I know!! Volvo has only used my car twice in a magazine ad and it was extremely subtle, so much so that you had to look hard to see my name or my car mentioned. 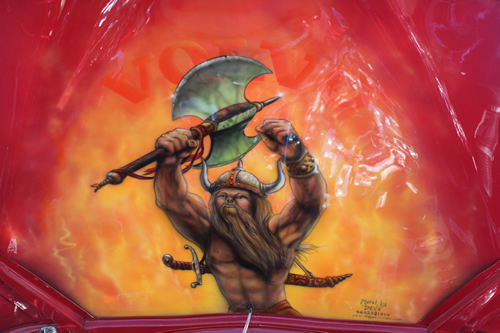 However, the Parts Department has used it in some professional magazines and some of their shows/conventions for professional mechanics and body shop owners. For the past 15 years or so, I have been asked to appear at the national SEMA and NACE shows where my car and I have been on display to answer questions. Lately, the shows have been in Las Vegas, which is about 2,500 miles each way from my home and of course I drive there and back as always. After 41 years of ownership, I am pretty well aware of how to fix almost everything. However, those things that require a lift go to the same mechanic (Nino Gambino) who has kept me on the road all these years. Not only is he my favorite mechanic at the dealership where I purchased my car but a good friend as well. When I passed the first million miles in 1987, Volvo held a party and press conference at the Tavern on the Green in New York City where they gave me the keys to a new 780 Bertone Coupe. I recently sold that car to a friend in Holland with approx. 470,000 miles on it and it still runs like new. When I passed the two million mile mark, Volvo held another party in conjunction with their 75th anniversary of being in business at the WABC Studios in Times Square, New York City where they presented me with the keys to a new C70 coupe, which now only has about 50,000 miles because I spend most of my time in my 1800. I guess what Volvo didn’t provide in terms of oil and air filters is certainly made up by giving me a whole new car, including its own filters already installed. LOL. 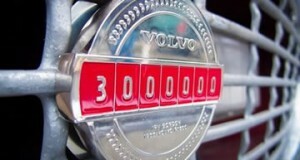 Since the car has passed so many milestones, the car has provided Volvo with much free advertising, as my accomplishment is really just a human interest story. I don’t have any aspirations of grandeur but just enjoy what I do and continue to meet some of the nicest people in the world as well as people in the auto business that I would never have had the opportunity to meet as a regular citizen. I have been invited places I would never have even thought to go on my own but it seems the car and I make a great couple and it has taken me to five European countries as well as all over the USA, Canada and Mexico. Because of my car, I have friends all over the world and have two friends from Australia coming to spend a few days with me next week. Yes, I even got to go to Australia because of my car. I have had so many funny things happen to me while travelling with my car. Once while I was in the hills of Wyoming on my way to Warm Springs, OR, I stopped at a local restaurant for coffee. While I was enjoying my break from the road I suddenly noticed I was the only one in the restaurant including the staff. I looked around and everyone was outside looking at my car having never seen anything like it before. Another time I was on I-80 at a rest area in Indiana and while sitting, minding my own business having yet another cup of coffee while taking a break from the highway, I saw two burly truck drivers walk in and shout at me, “HEY YOU! !” Thinking I must have done something wrong and I was about to get into a fight, they walked over and asked if I was the guy they had just seen on the “Tonight Show” with Jay Leno! WHEW!! Another time, very late at night, I was in Green River, WY and pulled into a convenience store for a package of gum. When I came out, there was a group of teenagers surrounding my car. I thought, "Uh oh, I am going to have trouble here." It turned out that they had never seen a car like mine and wanted to know if it was a prototype of new cars to come with fins! It turned out they just wanted to know all about the car and were very polite. Stories go on regarding all the interesting people the car has introduced me to and I keep in touch with many of them through the Internet when I am not travelling. When I am, I look forward to stopping by to see them again and again. Why trade in or get rid of a car that continues to provide safe, comfortable and dependable transportation, all with timeless good looks? I cannot see any reason to sell the car or trade it in for a newer model. Don’t get me wrong, I love my new Volvos and I love AC, power everything, a wonderful stereo and lots of power, but my 1800 has become more than a part of me. I am divorced from my ex-wife, but my car seems to still love me so how could I be so cruel? Most likely I will pass on while in that car. Perhaps I can be stuffed and put behind the wheel and the two of us can be together in some museum one of these days. The car has given me a new meaning to the word “retirement.” If I were to sell the car, I would not get invited to anything fun or anyplace interesting any longer. No one would want to see me. After all, the car does all the work and I just go along for the ride. Irv Gordon's Volvo P1800 closing in on 3 million miles While Irv Gordon is already retired, he's taken to accruing miles on his already impressively well-travelled Volvo 1800 like it's his job. It took a while to rack up the first million miles, but the second million came more quickly, rolling the odometer over in Times Square back in 2002. Now Gordon is headed for 3 million a mere eight years later. Only big rigs put on a million miles more quickly, and even that might be debatable. 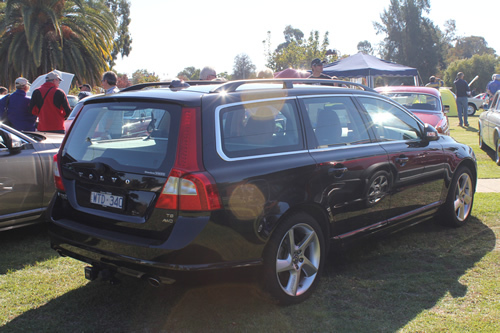 "Who would have thought such a decision, to buy a Volvo, would have created so many opportunities?" Gordon tells Autoblog. Some of his favourite miles out of the 2.8 million currently showing on the odometer (he was at 2.6 million the last time we checked) were his first trip across the United States and a trip to Europe where the 1800 and its intrepid driver drove from the United Kingdom into Sweden to see the car's original birthplace before rolling on to other continental hamlets and accruing 5,000 miles in a month. Irv's 70 years old now, and he wouldn't mind selling his beloved red Volvo coupe. Asking price? "A dollar per mile," says Gordon. Despite what Irv calls "some very interesting offers," nobody has offered him his asking price. 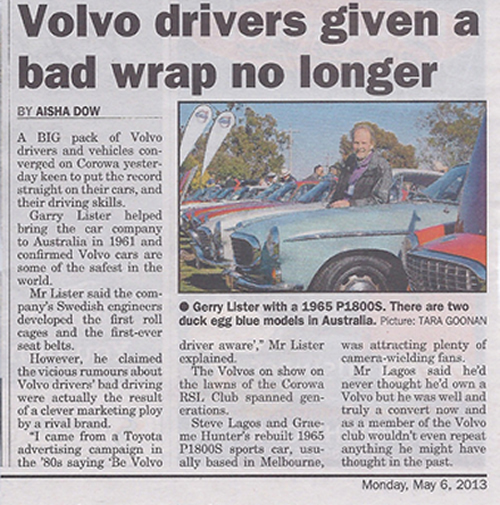 That's okay with Gordon, who acknowledges that his Volvo is the star. "Once I sell the car, no one will invite me anywhere any longer," he quips. While unlikely, putting three million dollars in his bank account would make those long treks more comfortable, affording fine hotels and gourmet dining versus at times sleeping in the 1800 to save some bucks. Gordon's not complaining, "I have indeed been a very fortunate fellow," he says. You have to respect his commitment to the little Volvo coupe that was originally purchased as a refuge from a pair of demonically unreliable Chevrolets, too. A retirement lifestyle that would allow one to travel in style and worry less about finances is a nearly universal goal, too. Gordon's got a leg up on all of us, having put in the seat time to earn a spot in the Guinness Book of World Records and turn a stolid, stylish Swede into a wheeled pension plan. 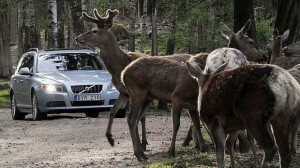 Volvo has previously tested its Wildlife Detection System on animals such as deer, but will now include kangaroos. Picture Courtesy SMH. Volvo has foreshadowed a visit to Australia to develop cutting-edge safety technology that will automatically detect and slow down for animals - three times quicker than human intervention, the Swedish auto maker says. The same radar-camera hardware will also be used to detect pedestrians in the dark as well as cyclists, but will be calibrated differently. at its Gothenburg base in Sweden. The system, which so far detects only larger animals such as cows and horses automatically slows down to speeds slower than 70km/h. Upon first detecting an animal, the system alerts the driver of the approaching obstacle by briefly engaging the vehicle’s brakes. If that doesn’t work, the car predicts the path of the animal and works to avoid it or slow down to reduce the impact. By doing so, Volvo says the technology will lessen the severity of a collision and reduce the likelihood of an animal breaking through a car’s A-pillar or windscreen. Volvo says it plans to trial the technology in Australia. According to figures obtained from the NRMA, kangaroos are involved in roughly 75 per cent of all animal collisions in Australia. NSW features most in wildlife-related collisions, with more than double the number of encounters of any other state or territory.“The human reaction time to spot an animal is usually 1.2 seconds … this technology will detect an animal in under half a second,” Magnusson said. Volvo’s animal detection system is part of a wider suite of new safety initiatives aimed at achieving zero deaths or serious injuries in its vehicles by 2020. Three of those technologies - one that monitors and steers away from road edges and barriers, one that spots pedestrians in the dark and one that can follow traffic autonomously – will be available on the next-generation Volvo XC90, which is due in Australia next year. The car maker is yet to put a deadline on its animal detection system, but says it isn’t “far away”. Mr Magusson said while kangaroos didn’t pose an immediate risk of death or serious injury to motorists, the technology could help to reduce insurance premiums. Sam Hall travelled to the Gothenburg factory in Sweden as a guest of Volvo. 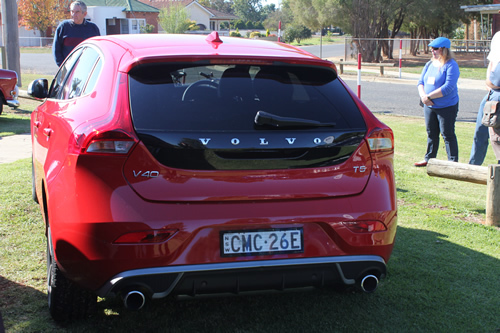 Check out the SMH video which outlines the six Volvo technologies to save lives. 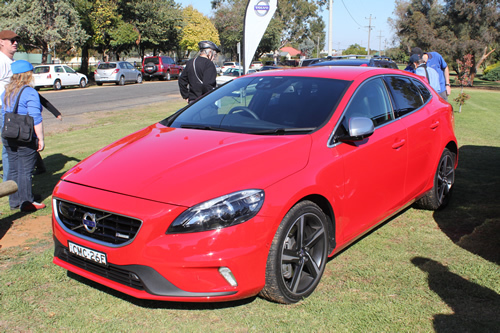 I have had many requests from followers and clients over the years to put my opinions of new model Volvo cars in writing. Bearing in mind that I am not a journalist but a fan of quality European cars, any reports I may put on this website won’t include such comments as “Volvo drivers wear hats” and “the 740 model would be a good looking car if they took it out of the box”. And many more which were not funny originally and are even less funny now. They were also very boring, so having got that off my chest, I will start my road tests with a report on one of Volvo’s newest models. 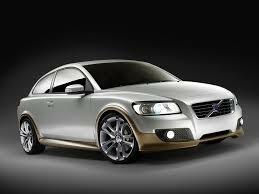 Volvo is Latin and means "I roll". 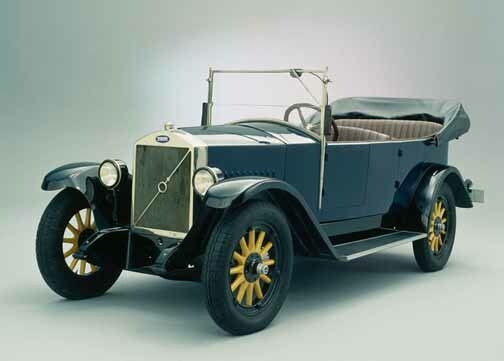 Volvo was born on April 14, 1927, when the first car, ÖV4 (nicknamed Jakob) left the factory in Gothenburg. The 1920s was the decade when cars made a real breakthrough, both in the USA and Europe. In Sweden, people's interest in cars was seriously aroused in 1923 as the result of a jubilee exhibition in Gothenburg attended by 97 car exhibitors. 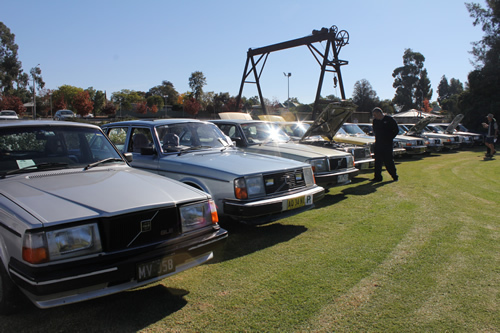 Quality was of paramount importance to the men who founded Volvo. This basic concept, which was formulated back in 1926, still applies to Volvo's way of making cars. The PV655, built between 1933 and 1935. 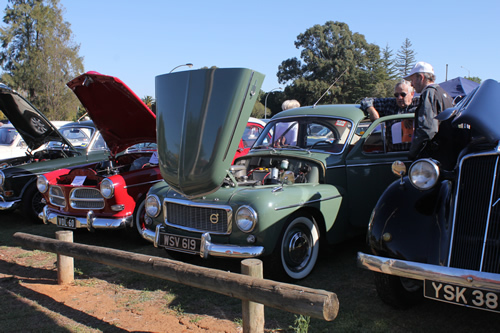 The hood was modified and a "grille" had been fitted in front of the radiator for the first time. The PV36 was intended to be a relatively expensive luxury model. A series of just 500 cars was made. The PV36 nickname was Carioca, perhaps because the Carioca was a South-American dance fashion at the time. The successor to the PV53-56 was the PV60, a larger car in American style. 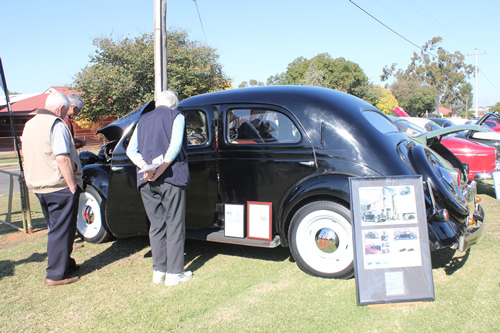 The new, small car, christened the PV444, was introduced in the autumn of 1944. Even at this stage, Volvo knew that the car would be unique, as it combined American design with European size. This later proved to be a highly successful combination. IT STAYED IN PRODUCTION IN MODIFIED FORM FOR MORE THAN 20 YEARS. Taxis, ambulances and trucks where made in the 40’s and 50’s using the 800 model. Some of them had an "Americanized" front with five upright "teeth" between the front bars. Volvo's plans for a two-seater sports car came as a great surprise. After all, the Volvo was known as a good, sturdy car, albeit a little boring. 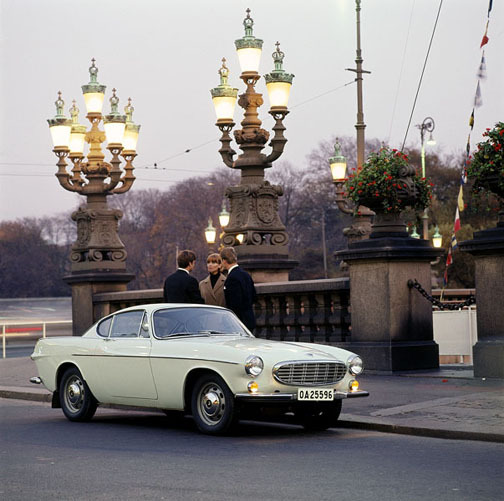 The Volvo Sport, also called P1900 was subjected to grueling tests in Sweden. The engine was a B14A with twin carburetors, which developed 70 hp, but the other components had been taken from the PV444. 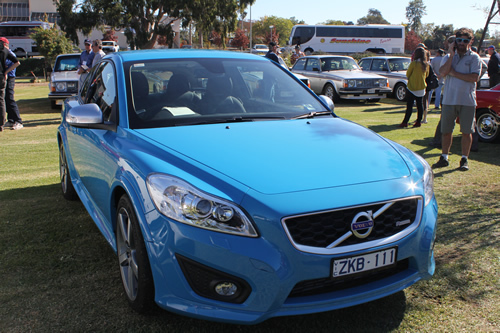 There was little demand for the Volvo Sport in Sweden; only 67 cars were produced and production ceased within one year. The first Volvo Duett 445 (later called 210) was introduced. 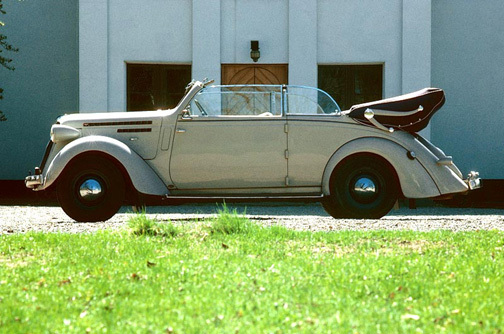 The name Duett symbolized Volvo's idea of "two cars in one" one for work and one for leisure. Volvo has been involved with manufacturing military vehicles and equipment for the Swedish Army through all the years and the 915 "Suggan" (the Sow) is just one of the many. The Volvo management decided to make a whole-hearted commitment to internationalization. Introduction on the US market was incredibly important. Production of the 120 (called Amazon in Scandinavia) began in 1957, and a great deal of work had been put into its safety features. 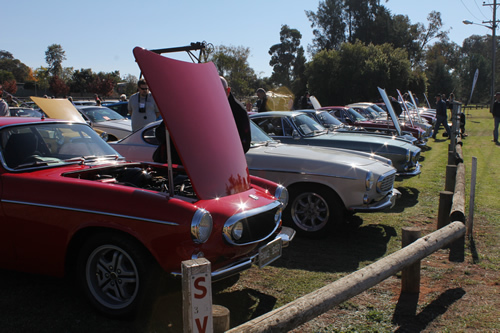 The top half of the dashboard was "padded", and Volvo was the first car manufacturer in the world to equip its cars with three point safety belts as a standard fitting. 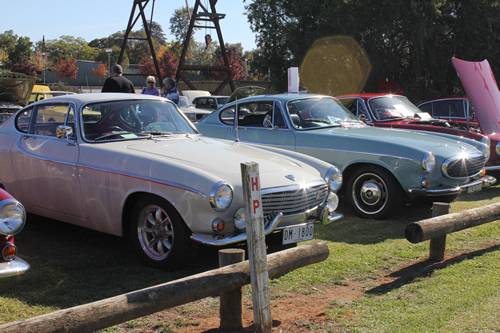 The P1800 went into production. In "THE SAINT”, Roger Moore drove a white P1800 much to the annoyance of the British Automobile Industry. 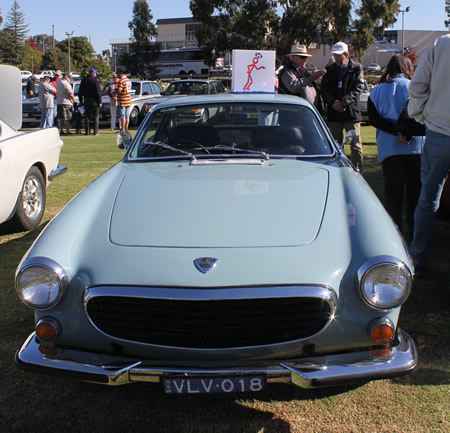 P1800 received awards for its attractive design at the 1961 California State Fair, and at the 24-hour race at the Sebring track in the US, the P1800 was the official car of 1963 and 1964. In April 24, 1964 the new Torslanda Plant was opened. Its estimated capacity was 110,000 cars. A number of new features were presented. These included disc brakes at the front on all Amazon models and power assisted brakes on station wagons. Volvo presented a new type of front seat, which had been developed in collaboration with medical experts, who maintained that sitting in the right position had an important effect on traffic safety. In August of 1966 a new car model was presented. 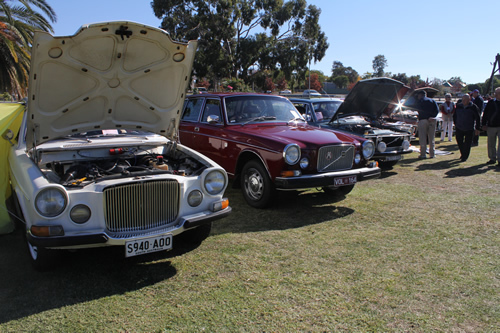 It was called the Volvo 144. In terms of safety, this car was extremely advanced. It had disc brakes all round, a split steering column and a new lock on the three-point safety belts. The body had energy-absorbing crumple zones at the front and rear. Even the door locks had a safety design. The 144 also meant the introduction of a triangle-split dual-circuit brake system. The car had two brake circuits and, if one of them failed, 80% of braking effect was still available. 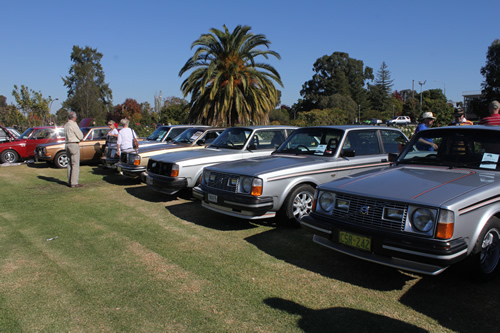 The Volvo 144 was also a success abroad. In USA, the 144 complied with the new safety regulations before they had even been made public. The Volvo 145 was introduced later that year. Technically speaking, this car was virtually identical to the other 140 models. The tailgate was made in one piece and opened outwards with the hinges located in the roof. Volvo now had three estates in its range, the P210 Duett, the Amazon/221 Estate and the Volvo 145.